Some Reddit users report that replacing their batteries has returned performance and CPU clock speeds to normal. 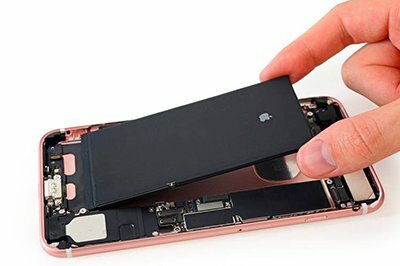 The reports are particularly troubling because any perceived slowdowns by iPhone users might tempt owners to upgrade their entire device instead of replacing the battery. “This fix will also cause users to think, 'my phone is slow, so I should replace it' not, 'my phone is slow so I should replace its battery,’” says Geekbench’s John Poole. Apple is effectively saying that it’s not slowing down older iPhones just to urge people to upgrade to newer devices. Rather, the company says it’s addressing an issue with devices containing older lithium-ion batteries that result in unexpected shutdowns. Because those older batteries are incapable of handling peak current draws with the same effectiveness of iPhones with newer batteries and more efficient processors, they run the risk of the device powering down to prevent damage to its internal components. The same is true of devices running in extremely cold or hot weather, as evidenced by a recent kerfuffle with the iPhone X shutting down randomly in freezing temperatures.